This recipe was developed by Rick Browne, and author of 1,001 Best Grilling Recipes and former host of PBS’s BBQ America. 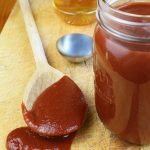 Rick has traveled the world in search of the best BBQ and has developed this low sugar, low carb BBQ sauce recipe that taste’s so good you won’t know it’s sugar free! 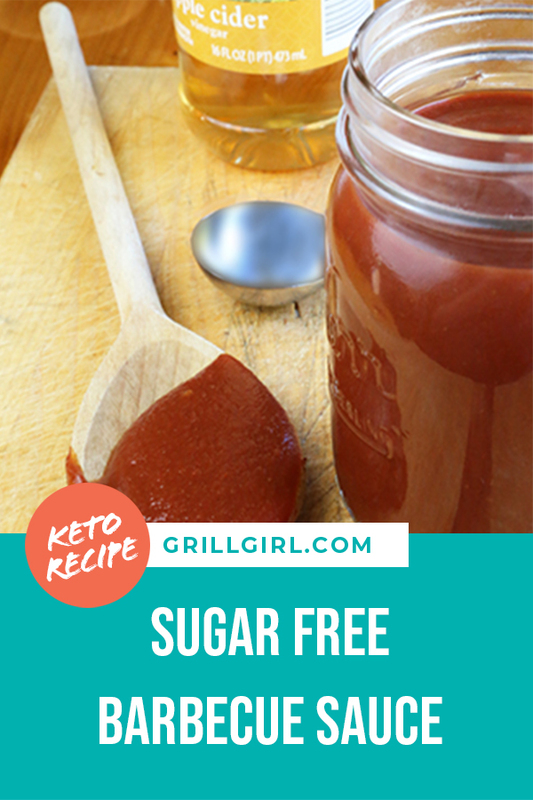 One tbsp has about 13 calories and 5.4 carbohydrates making this keto friendly, paleo friendy and great for low carb diets. Passata is an uncooked tomato purée that has been strained of seeds and skins. It originated in Italy but is used throughout the UK and all over Europe. Some passatas are chunkier and some are smoother, depending on the brand. It is readily available online (Amazon.com) or at major grocery store chains and WalMart. Whisk all ingredients together in a saucepan, adding the water last. Start with a cup of water, then whisk in a little at a time until it reaches a consistency that is slightly thicker than barbecue sauce. I ended up using 1 cup of water, but I like thick sauce. Bring to a gentle boil at medium-high heat, whisking continuously, then reduce to medium-low. Simmer, uncovered, stirring frequently, for 15-20 minutes, or until slightly thickened. Taste and adjust sweetener or cayenne pepper if you prefer the sauce to be sweeter or spicier. If it’s still thicker than you like, you can stir in additional water, a tablespoon at a time, until reaching desired consistency. This recipe will make approximately one pint of sauce, which will yield approximately 32 tbsp of sauce. One serving size is 1 tbsp, which is approximately 13 calories and 5 net carbs.